Greek Customs have found 16 armoured vehicles, including Typhoon GSS-300 type on board of ro-ro cargo ship Tychy. The cargo was found during an inspection on July 21, on arrival to Greek port Keratsini, near Piraeus. The armoured vehicles were bound for Libya, in violation of special UN Decision, which is prohibiting military and paramilitary supplies to this country. 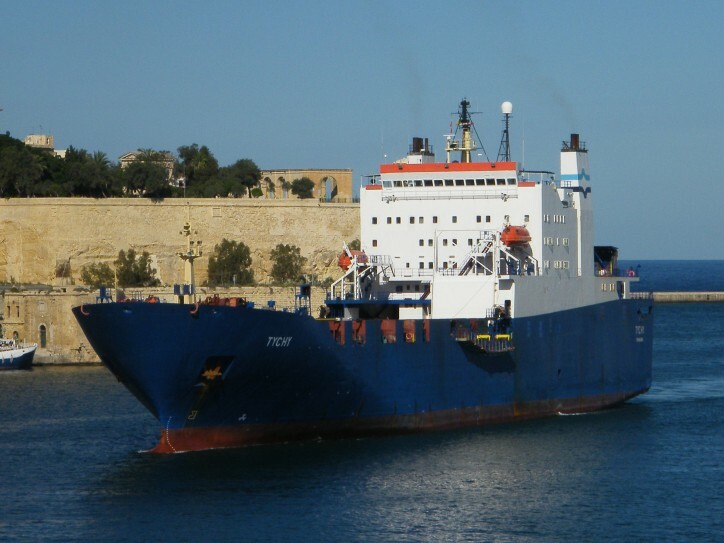 Greek news media reported that the ro-ro Tychy has arrived to Keratsini from La Spezia, but vehicles could be loaded in previous port of Derince, Turkey. According to AIS data, on July 22nd, the vessel was docked in the Libyan port of Misurata. In the Greek news media report was also added, that this is not the first time the vessel was spotted in carrying arms, believed to be illegal. There was another case of carrying illegal arms, which took place in February, 2015. The Tychy is 15652 GT Panama-flagged ro-ro cargo ship, built in 1988. The vessel is managed by the Greek company REEFER & GENERAL SHIP-MGMT CO.